Brown has shouldered the workload on the interior for Swing thus far and has done a nice job with it. Helping keep Swing in games, the lanky, 6-3 forward has a good eye for the basket from the mid-range on in and does a good job cleaning up on the boards as well to add to his productivity. He is averaging 13.6 points and 8 rebounds each game. An electrifying point guard, Brown has natural basketball instincts, great quickness and his skill has really come along greatly. He can beat opponent in so many ways, either dominating defensively with his quick hands and ability to break out in the open court, he is able to get to the cup at will with his agility and burst, and he can step back and bury three’s if you give him too much of an open look. Look for Brown to have a major impact again during the Championships. Brown is averaging 18.5 points in a sole session in the GNBA, including a game of 29. Carrington is a smooth point guard with a scoring mentality that can really scorch the nets when he is rolling. With an almost deceptive quickness, Carrington uses his handles well to get defenders off-balance and create open looks for himself from the perimeter, mid-range or at the rim. He does a nice job in transition of absorbing contact and still getting shots up also. He is averaging over roughly 15 points per game and has been improving his passing game. Domask is a good leader and exceptional young player that a coach loves to have because he can do so many different things for you. The 5-11 guard/wing is savvy on offense and finds ways to get the ball in the basket, be it on the drive where he uses his body well to create space, or shooting it from beyond the arc with nice stroke. Domask is also a very good passer and sees the floor very well. REACH has a good shot of opening some eyes at the Championships, in large part because of the play of their wings, highlighted by Faqua who had a tremendous set of games during Session 4. 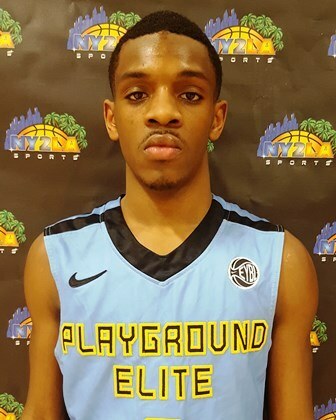 Faqua has athleticism, he is quick and uses both to find ways to the basket where he scores pretty consistently. He also showed previously that he can knock down shots from about 18 feet and in with good accuracy. On the other end, Faqua plays with good intensity and aggressiveness, and he always gets inside to try rebounding, often coming down with the ball. He is averaging more than 14 points and 5 rebounds per game. Horton-Tucker does an excellent job on the court of using his physical gifts with his basketball skill-set. Horton-Tucker is relentless on the floor, constantly attacking the hoop and he is outstanding in transition where he can use his explosiveness more freely. He rebounds the ball hard and does a nice job pressuring the ball defensively as well. The 5-11 forward is averaging 14.3 points and almost 8 rebounds per game. Keough is a tough young player with good developing skills that just seems to make plays for his team whenever they need it. He rebounds very well, hustles non-stop and also has the ability to hit shots from different spots on the court with consistency. Defensively, Keough works hard and keeps himself in position to make plays. He is averaging nearly 14 points per contest, while also contributing 4.5 rebounds a game. Long has been the most dominant player in the 7th Grade division thus far, utilizing his size (6-3), skill and athleticism to hold court against anyone the Spartans have faced yet. Long defensively causes fits for opponents trying to get to the lane for baskets, and on the other end his ability to shoot the ball away from the hoop some keep defenders off-balance deciding whether or not to lay off him. He finishes great around the basket and does not stop competing. Long is averaging an incredible 20 points and 10.8 rebounds per game currently. 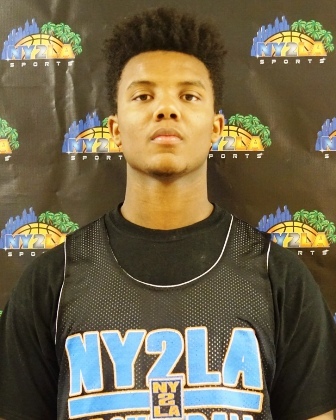 Reece has been tremendous on both ends of the floor for Yanders Law who continues to compete. Offensively, Reece can score in a couple different ways with his ability to attack with the dribble and go strong to the basket, but he also has a nice jump shot that he can use to stop-and-pop when necessary. He crashes the boards hard, snagging rebounds and second or third opportunities for his team. Reece is near a double-double average with more than 14 points and 8.2 boards each game. Roeser is one of the better emerging players coming through the 2019 class right now. He has really developed his outside game more where he can knock down some shots away from the paint and draw defenders away from the hoop which opens the court up for himself and his teammates. However, he also has the athletic ability and motor to go to work inside and get second-chance buckets off rebounds. When he is playing well, Future Elite is on top of their game. 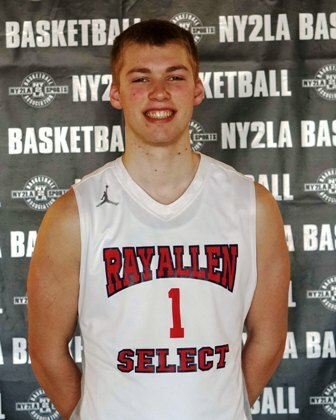 Roeser continues to elevate his play, now averaging a solid 14 points and 8 rebounds per game in the GNBA.